Courtesy of Melissa Harvey, Alpine Realty. 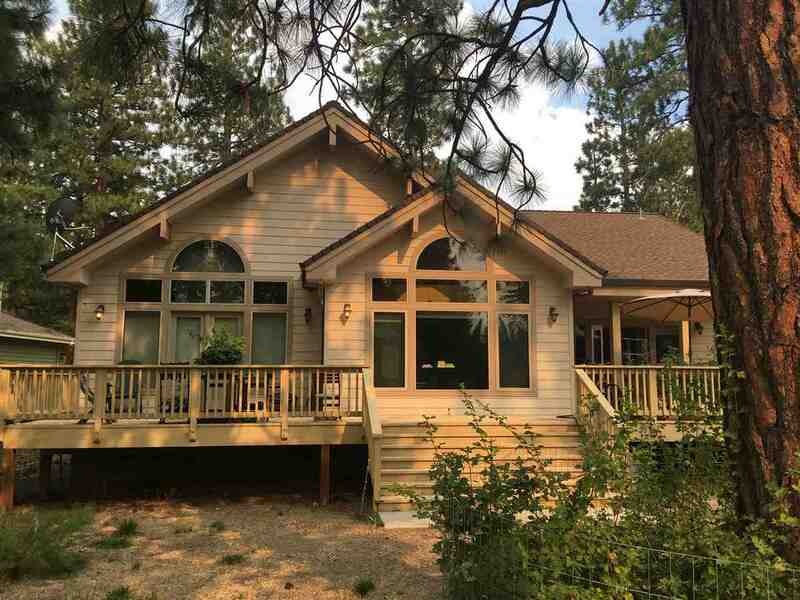 Beautiful custom Lindal Cedar home nestled in the pines overlooking the Lake Shastina Championship Golf Course. At over 2200 sq. ft., this 3bd/2ba home also features a large office/bonus room with built-ins. The gourmet kitchen with over-sized island, granite countertops and stainless steel appliances, opens to a comfortable dining area and spacious great room. Large master bedroom suite features walk-in closet and master bathroom with separate bath & shower, double vanities & double shower heads. Extra large deck in back is perfect for relaxing with family and friends on warm summer evenings. Soaring vaulted ceilings, gas range, fireplace, laundry room, drought-tolerant landscaping, and so much more. This home has it all! Please, send me more information on this property: MLS# 112459 – $350,000 – 17315 Snead Dr., Weed, CA 96094. I would like to schedule a private showing for this property: MLS# 112459 – $350,000 – 17315 Snead Dr., Weed, CA 96094.